WE’RE HEADED TO THE LARGEST BICYCLE TRADE SHOW IN THE MIDWEST! We may not have any blues to lose in the Windy City, but we definitely have some cruisin’ and schmoozin’ planned in our quest to find you amazing deals. Plus, we can’t wait to connect with Jamis, and check out what’s new and cool in the bike industry. Incidentally, we’re making this a family affair – Liam and Aria (our toddlin’ tykes) will be with us, so let’s see if we can “cute” some good deals for you at the expo! It’s good to be a shop that’s liked in the bike biz, because we get insider info that no one else knows about. For example, we recently learned that the “big guys” are OUT of fat bikes! In the middle of fat bike season! In Michigan! Knowing this, we are RIGHT NOW in the middle of putting our awesome reputation to work for you – ‘cuz that’s how we roll – to negotiate THE BEST FAT BIKE DEAL EVER for anyone interested in fatties. More details in our next email but, ’til then, here’s a little insider information for your very own – carbon wheels, carbon frame, and carbon fork for HALF of what you’d spend with the other guys. Yeah, you read that right! So… you have a few days to do some research. Call around to find a fat bike – we double-dog dare you! When you’re ready to throw in the towel, swing by and talk to Shaun. We’ll show you what “the Hometown advantage” is all about! Don’t get caught making a long trek home on foot! Shaun will teach you down-and-dirty, on-the-go, bike repairs that can get you back to civilization – and your nearest bike shop! – safely and swiftly. Hands-on learning! KIDS, CREATE “BIKE LOVE” VALENTINES AT HOMETOWN! Your kids will create their very own, unique, bike-y Valentine in this family-friendly, holiday craft class, run by Hometown artist, Lauren Patrell of LPbyLP. For ages 6 and up, but don’t be shy about participating if you’re an adult. We bet you know a cyclist or two who would love to get one of these from you! My cousin got me interested in mountain biking, and I currently bike for the Detroit Catholic Central Mountain Bike Team. Before mountain biking, I used to play travel ice hockey as a goalie. Heads up, Hometownies… if you’re interested in joining our Team, and want to get in on the first kit order with it’s CRAZY discount level, your order must be submitted by this Saturday, February 4th. Ride Coordinator Jean has already sent out “Welcome Team” emails. If you’re a Team member who didn’t receive yours, email her at ride@myhometownbicycles.com to confirm she has your correct email address. Please join CRAMBA for the annual ¡Ay CRAMBA It’s Cold Out! Fatbike / Snow Bike Festival onSaturday, February 4th, 2017 from 12:00pm to 5:00pm for a celebration of winter riding at Shelby Township’s River Bends Park. Come on out and join us for group rides, fatbike demos, hot bonfires, chili, and tasty beverages with a hundred of your fellow fatbikers. Please feel free to bring food, snacks, and/or drinks to share. We’re just 7 short weeks away from the official arrival of Spring. Don’t panic… we can get you there in top form! At t-minus 3 days and counting, it’s looking just like “a picture print of Currier & Ives” here in the store – with the nostalgia of bicycles turtledoving charmingly with the artistic beauty of new technology. We know you can hardly stand to wait… our back room is filling up with Christmas bicycles that we’re storing away from prying eyes ’til Christmas Eve (you’re welcome, Santa!) Could a bike for you be among them?? If you spy a streak light-speeding down the road, then you just saw the new owner of all these Gu – yep, they’re all gifts for one person!! Stocking stuffers are a snap here at the shop – everything from nutrition to socks to tire levers to chapstick to sunglasses to coin purses to water bottle cages to… you get the picture. And if you’re still working on some big gift ideas – we hear bikes are a big hit with the cycling crowd this year… just sayin’. HOLY YOGA, BATMAN! We knew that Ashley of Tocca Massage & Yoga was always “in demand” for her massage prowess, but her last week’s yoga class blew us away. In one of the most impressive first class showings we’ve seen, Ashley packed the Community Room with bendy energy and flexible positivity. Come see what all the excitement’s about! Next class is THIS FRIDAY (TOMORROW 12/23) AT 9AM – $10 drop in. Details HERE. Stretch out the stress before the holidays hit! ………………………WINTER CLINICS, HERE WE COME… !! Worried about post-holiday blues? Don’t be! You’ll be too busy learning cool bike stuff! Our yearly, FREE, winter clinic series starts January 4th, and there are some super-cool changes underway for 2017. For that reason, we’re only listing the first month of our 2-month series – stay tuned for details! BIKE SAFETY & EQUIPMENT – REGISTER NOW! Keep you and your bike in one piece! Learn everything from road safety and theft prevention to critical cycling gear. Not wind, nor sleet, nor snow, nor cold will stop the Hometown shop rides… but the holidays will definitely set them back a couple weeks. Follow our Facebook page for post holiday ride updates and other Hometown happenings! 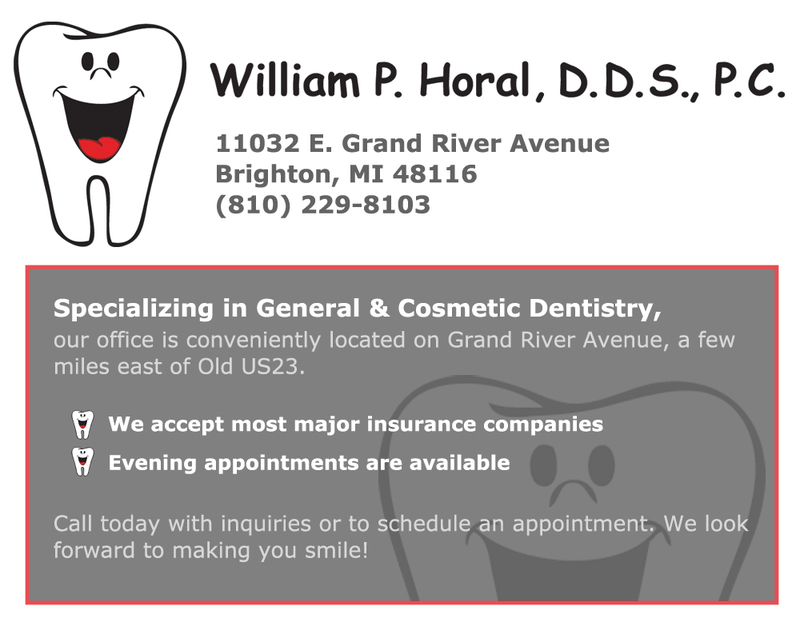 Just a quick note of appreciation to another wonderful Sponsor who has stepped up to once again support Team Hometown Bicycles: Dr. William P. Horal’s Family & Cosmetic Dentistry. You’ll learn more about their general and cosmetic practice in a coming newsletter. Thank you, Dr. William & Louise Horal!! In addition to our now accepting 2017 Team Applications, we’ll also be hosting a Team Meeting, open to all interested riders, on Saturday January 21st at 4:30pm – mark your calendars!Follow our Facebook page for details and confirmation of time, and email Rides Coordinator Jean with your questions at ride@myhometownbicycles.com.